Many pieces have found new homes. Each piece is one of a kind, but let us know if you see a style you like or colors you prefer. The voltage and wood grain has a desire of its own and we will do our best to collaborate. 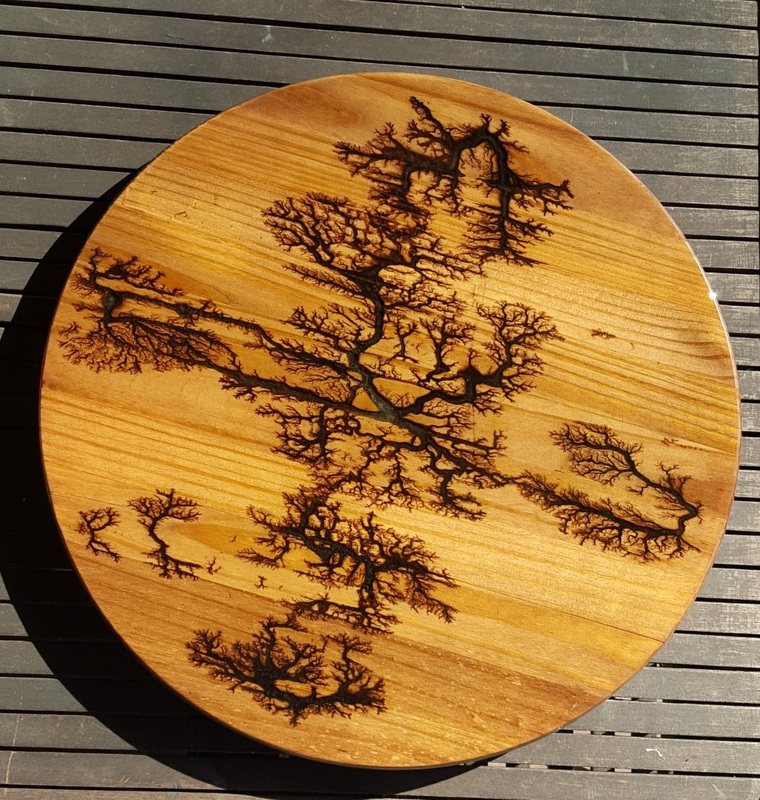 We can laser burn and paint custom pieces – Contact us with your ideas. We can burn any unfinished wood – Contact us if you have something special in mind! 12″ painted pine – A Colorful and unique addition to a counter top or wall. This piece is 12.5″ x 7″ painted and protected with polyurethane. A Colorful and unique addition to a counter top or wall. day versus night – If exposed to enough light it glows in the dark! 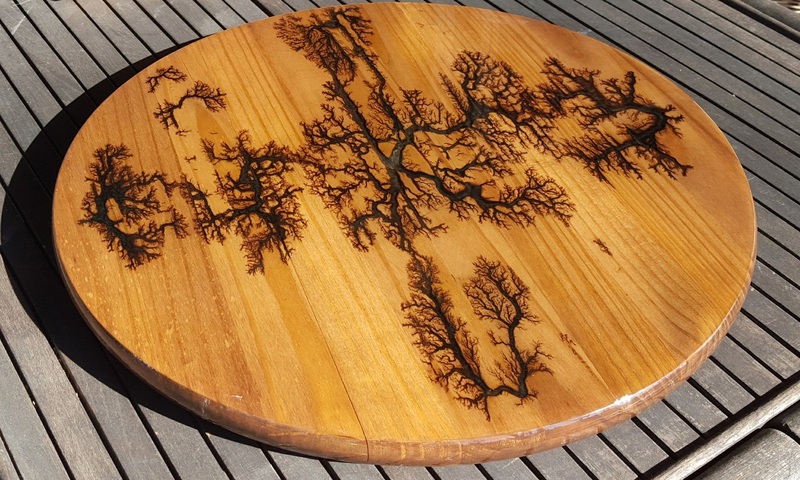 This piece is 12″ x 11″ stained with glow in the dark paint and protected with polyurethane. It must be exposed to sunlight to glow. This Sunrise piece is 6″ x 16″ painted and protected with polyurethane.